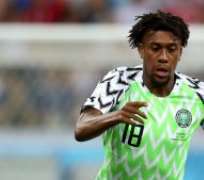 Alex Iwobi and John Ogu have disclosed the Nigeria side's targets as they do battle with Argentina for a spot in the knockout phase on Tuesday. The Super Eagles sit in the second position in the Group D standings with three points in two games, but, they still stand a chance of getting eliminated if they lose to desperate Jorge Sampaoli's side at the Saint Petersburg Stadium. Iwobi has appeared twice in the World Cup campaign but Ogu still awaits his first-ever appearance at the global showpiece. With the 22-year-old keen to earn a starting role against the La Albiceleste, he, however, insists his side's victory is top priority. “We are very full of confidence after our win against Iceland and very prepared to get a good result against Argentina,” Iwobi told media in Saint Petersburg. “We believe we can do well and can assure Nigerian fans that we will put up a good fight against Argentina. On his own part, Hapoel Be’er Sheva star Ogu, unperturbed about his delayed debut, is keen to make history with Gernot Rohr's side as they target the nation's first World Cup win over the South American giants. “We are ready and everyone is in good spirit and looking forward to the match against Argentina,” Ogu told reporters. “We know if we win this game it could change our lives as football players. We just know we are playing against Argentina as a nation in our group and our last group game.